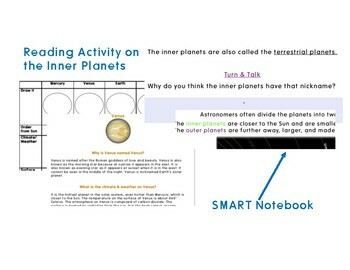 Are you looking for an interesting way to introduce the inner and outer planets? Look no further! 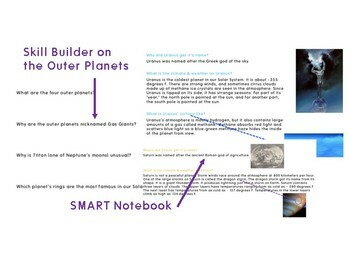 This product includes two days worth of lesson plans - which each include a SMART Notebook presentation and activity. One day focuses on introducing the four inner planets and one for the four outer planets. Both of these activities incorporate hands on partner/group work that fosters collaboration and communication.